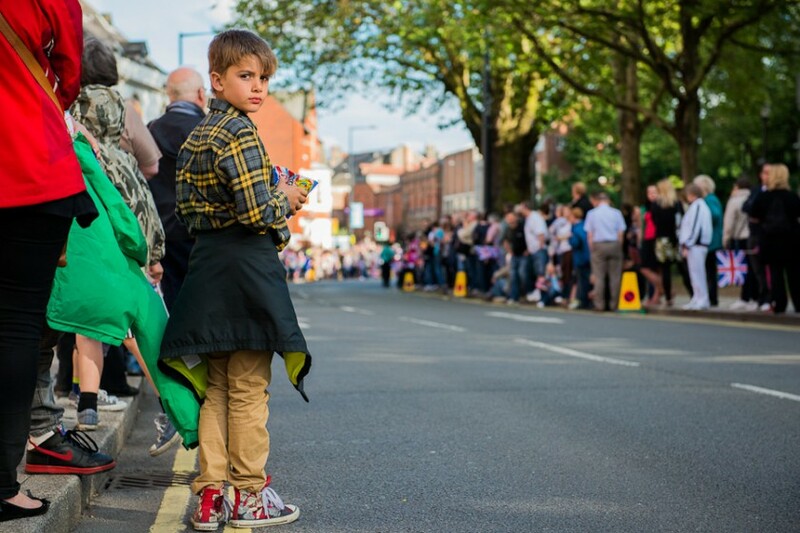 Derby Photographer wins Silver (2nd Prize) from SWPP (the Society of Wedding and Portrait Photographers) for photograph of the 2012 Olympic Torch Relay through Derby City Centre. 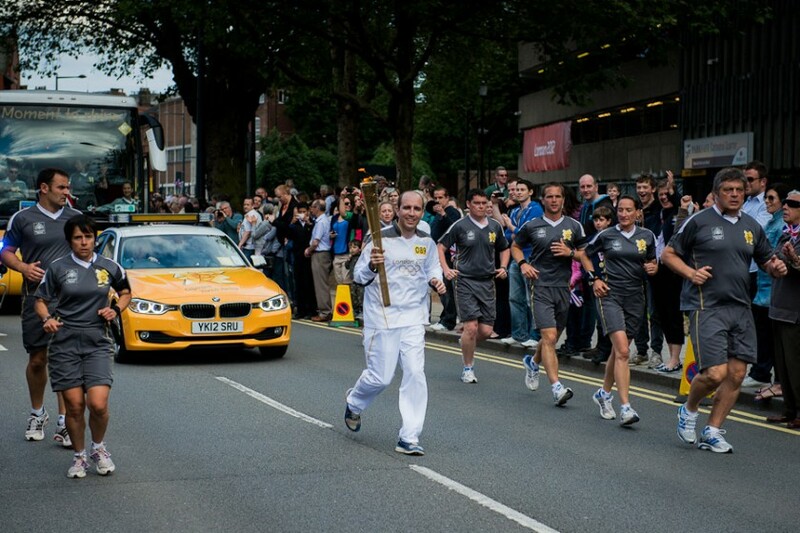 This weekend the Olympic Torch Relay arrived in Derby, from Ashbourne, at 6:30pm on Friday 29th June. 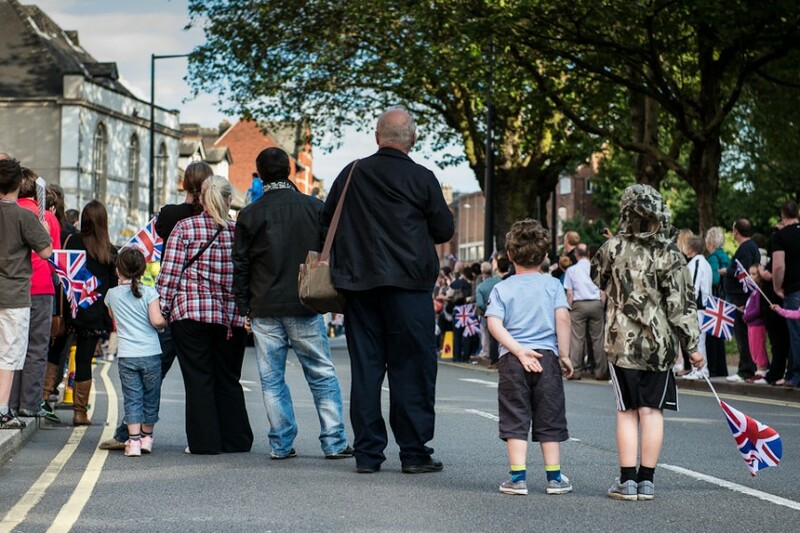 It then made it’s way down the Ashbourne Road and into the centre of Derby; meandering through a figure of eight, before crossing the Derby City centre and heading up Duffield Road to finish at 7:30pm in Darley Abbey Park. 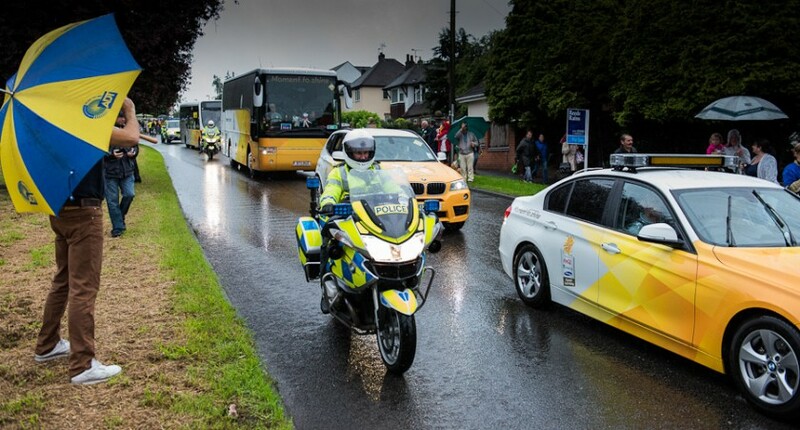 On it’s journey was a ‘cavalcade’ of police cars, police motorbikes, St. Johns Ambulance cars and cyclists, Olympic 2012 officials, sponsor buses full of promotors, stewards, security, film crew, a bus full of torches and torch bearers and finally a torch bearer! For the last week, in Derbyshire, the weather has been dreadful. It is mid June, yet Derbyshire is suffering from hail stones, terrential rain and floods. On Thursday morning the town went black as large gothic clouds covered the city in rain, thunder and lightening. 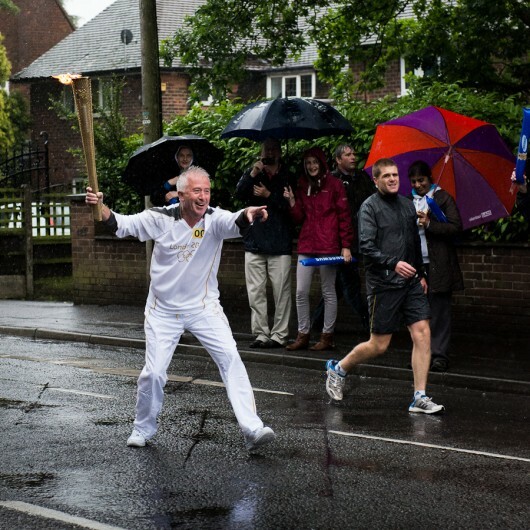 Not a great time to be outside, with a camera, watching a torch bearer – with a flame in the rain. 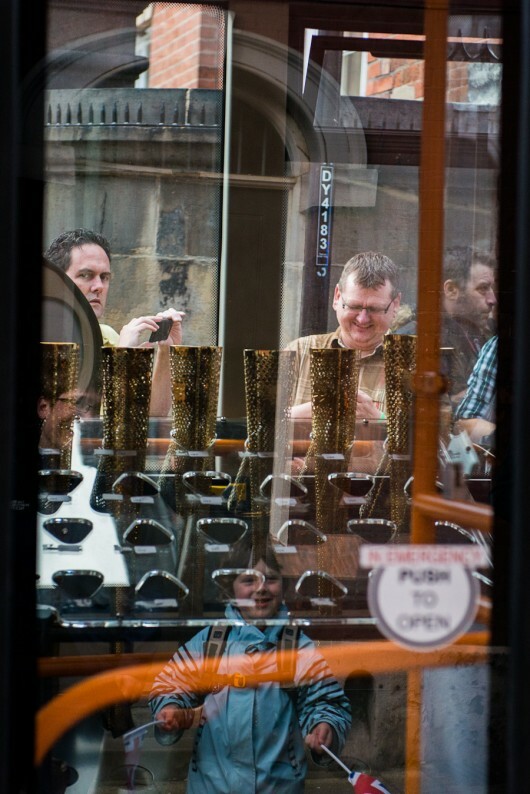 Yet this doesn’t happen very often, if ever, in one’s City. So I went to see history occur and took my camera with me to record some of the events. Usually, I’m in controlled environments, as a wedding or portrait photographer, with people who are expecting me to photograph them, so I can go where I want, and take the pictures I want. This time I was just another face in the crowd. No privileged press pass or private access. Just another face, with another camera. Fortunately, on Friday afternoon, it didn’t rain. The sun played hide and seek with the clouds, but it didn’t rain. So everyone was in good cheer. 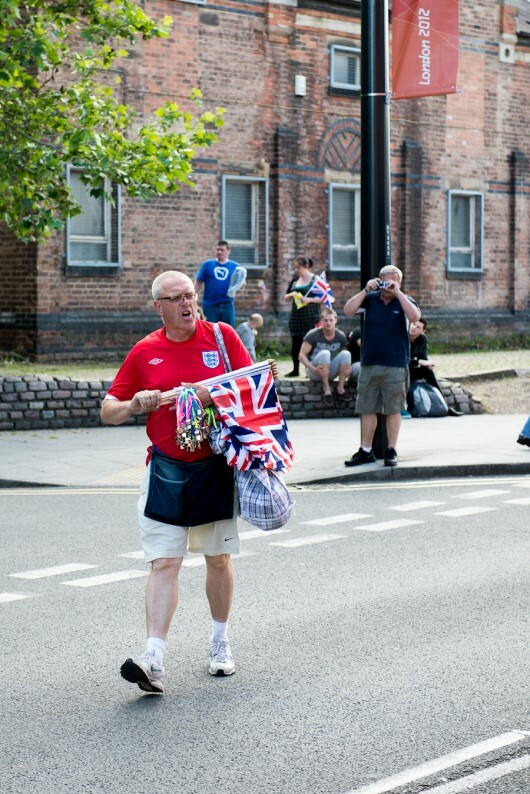 I watched the procession go past on one arm of the figure of eight and then another arm. Finally, as I headed back to my car, the torch went past near where I was parked so I got a third glimpse of it that evening. 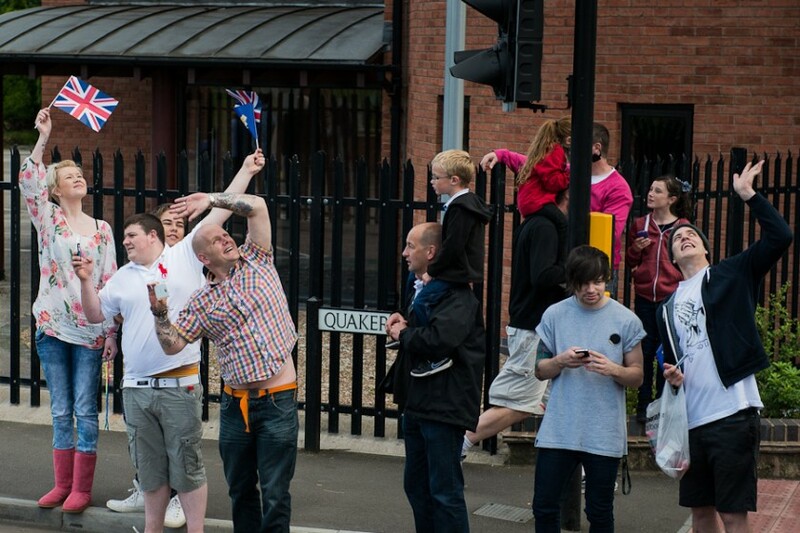 At 6.41am the Olympic torch left the centre of Derby heading up the Burton road towards Littleover. It then turned onto the Derby ring road before finishing at the new Royal Derby Hospital. Here the flame was transferred from the torch to a lantern for vehicular transport towards Birmingham, the day’s finishing city. At 6am, on Saturday morning, torrential rain fell on Derby. This didn’t deter the crowds of supporters or the fact that it was so early on a Saturday morning! 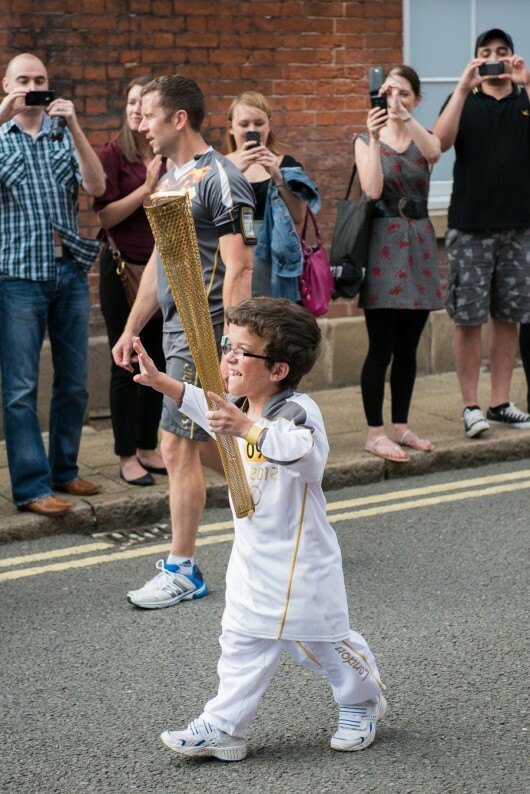 The grey clouds gave their best but the crowds cheered and raced with the torch bearer. 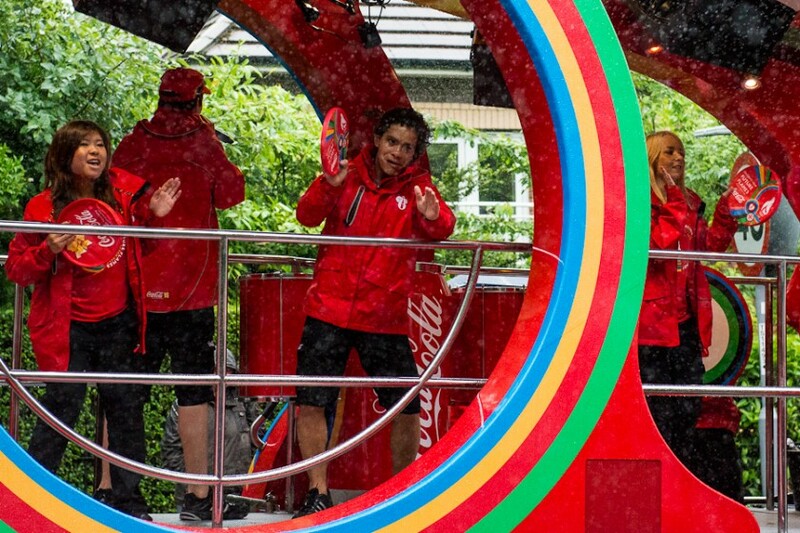 And the torch bearers were in high spirits. 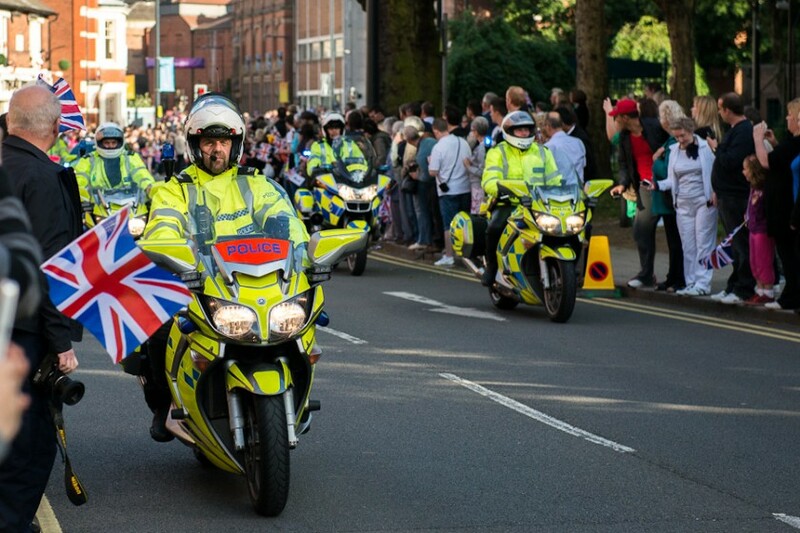 Below are a few photographs from the events of Friday evening and the very wet Saturday morning. * The copyright of the photographs on this website belong to Simon Hobbs Photography and cannot be copied or reproduced in anyway without the express permission of the photographer. 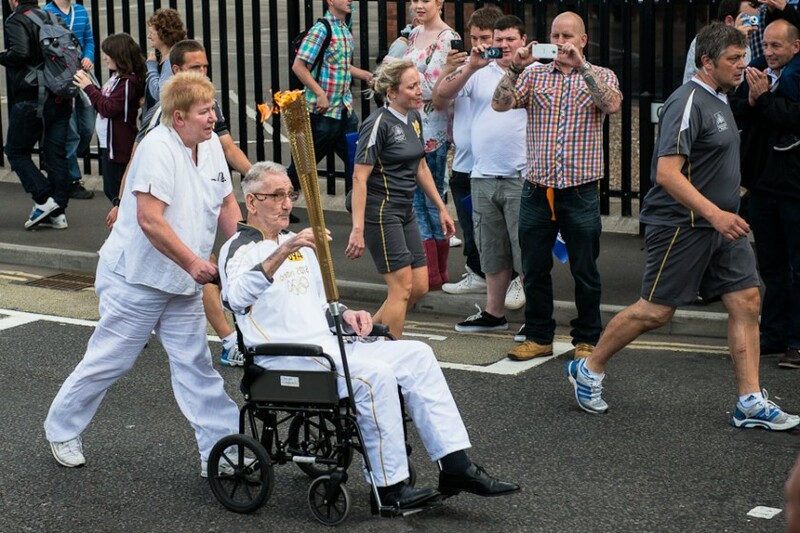 However, if you happen to be one of the Torch Bearers in these photographs then you can receive a FREE high resolution photograph for your own personal use. If you would like one of these photographs, just Contact Me, and I will send you one!